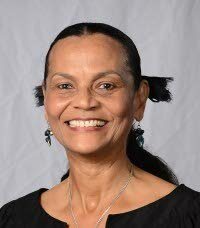 University of Trinidad and Tobago Professor Valerie Stoute. UNIVERSITY of TT (UTT) professor Valerie Stoute, who was suspended and then sent on vacation leave, says the university cannot validate any claims of infractions she allegedly committed. Stoute, a professor of practice of environmental studies, sent a letter in response to a Newsday report on Wednesday with the headline “Suspended UTT prof sent on leave." In it Education Minister Anthony Garcia reported to the Senate that a suspended UTT professor who was denied entry to a graduation ceremony (Stoute, in November last year), had had her suspension terminated with immediate effect and was required to take vacation leave from February 1 until her retirement on August 21, as she had 170 days' leave in hand. Stoute, in the letter, said: "UTT has articulated the punishments it has imposed on me. They have left my actual crimes to the imagination of the public. She said the true context for every statement in the news item was: "UTT cannot validly articulate a single infraction of which I have been found guilty. UTT has not now and never had any justifiable grounds for the extensive disruption to my life nor the damage to my reputation." She said she had tried to attend a public graduation ceremony ­– held at a public institution – as a member of the public, with a bona-fide invitation given to her by a graduand. She also said, "I have put on record my objections to my administrative leave, to my block from the graduation ceremonies, and to the forced 'vacation' leave since I have a great deal of important work and responsibilities to students which were disrupted and which I must now complete/fulfil." She said UTT had no policy requiring a staff member, "especially one with my relevance," to exhaust his/her vacation leave before retirement. UTT, she said, has "three male septuagenarians/octogenarians on post-retirement contracts, which the institution’s HR policy recommends should be given to individuals with important skills. I am female but I have a great deal of important skills." Reply to "UTT prof on forced leave: It’s unjustified"